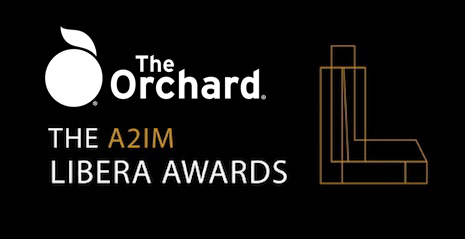 After another exciting installment of A2IM’s Indie Week, The Orchard ended on a high note as label partners took five wins at the 2018 Libera Awards. In addition, wonderful performances by Aimee Mann, Raul Midon as well as tributes to Miss Sharon Jones and “The Screaming Eagle Of Soul” Charles Bradley made the 2018 Liberas a magical night. Let’s take a look at a few artists and labels that took home gold. The Orchard is honored to have worked alongside three winners in this year’s genre-specific album categories. First off, after taking the stage during her exceptional performance, Aimee Mann earned the trophy for Best American Roots & Folk Album for masterful LP Mental Illness. Jason Isbell won the gold in the Best Country/American Album category for The Nashville Sound, an album that also garnered two Grammy Awards earlier this year. Finally, the ever-shining Sharon Jones and her backing band The Dap Kings won the Best R&B Album for the outstanding Soul Of A Woman. The Dap Kings also joined Saundra Williams on stage during a beautiful tribute to Sharon. Each year, The Libera Awards salute the industry’s creative marketers with the Marketing Genius award. This year, the masterminds behind Run The Jewels’ “Call Ticketron!” campaign took the category. Congratulations to Amaechi Uzoigwe & Lee Martin for accepting the award! After a transformative 2017, Daptone Records proved its resilience and dedication to their soulful craft. For that reason and many others, the soul music staple took home the Label Of The Year (<5 employees) award. Daptone’s triumphant and hard working team proves that a small group can make a big impact. Daddy Yankee Joins The Orchard Family!